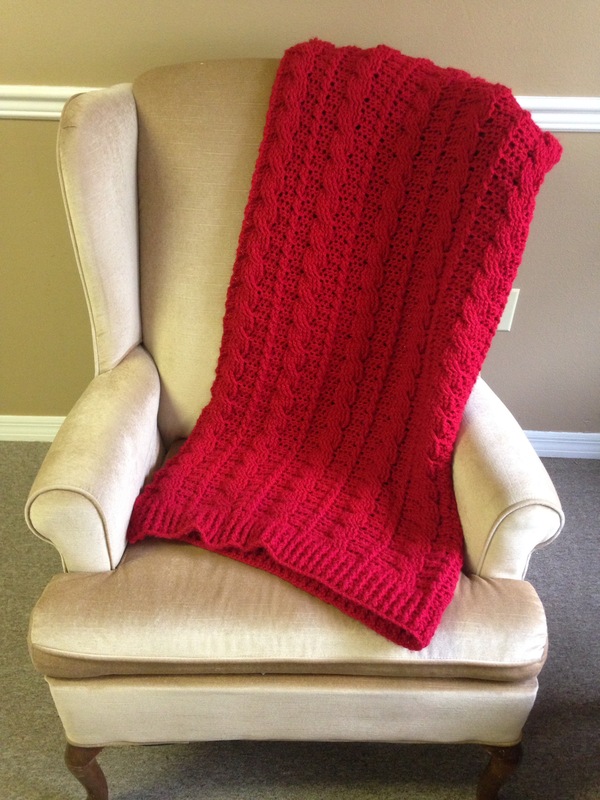 I can finally share with you a huge project I started as a present to my hubster’s nanny. I call it nan-ghan! 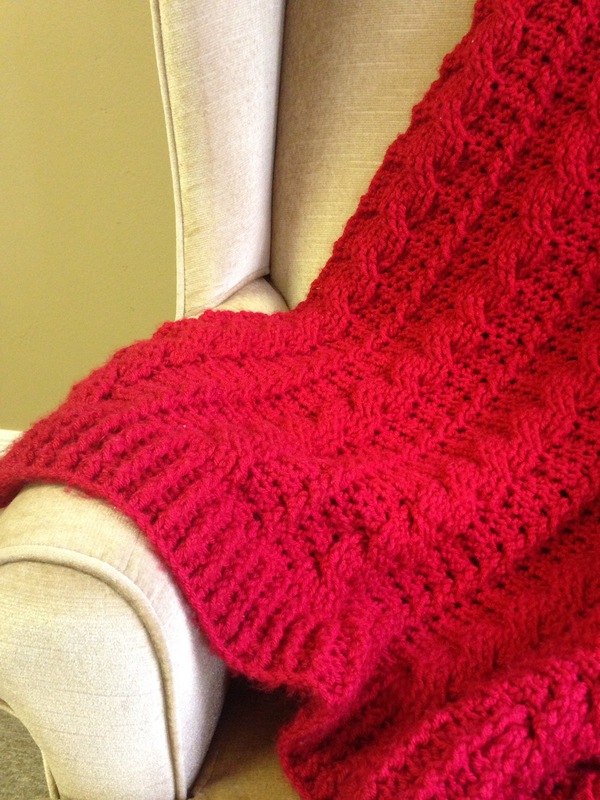 It is a modification of a paid pattern available from Kim Miller. 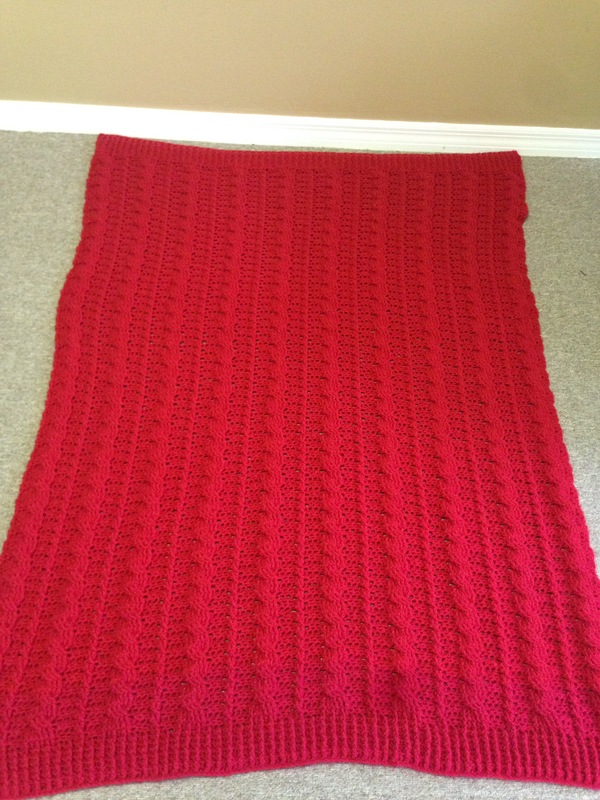 The pattern called for using 12 balls of Lion Brand Wool Ease thick and quick yarn. 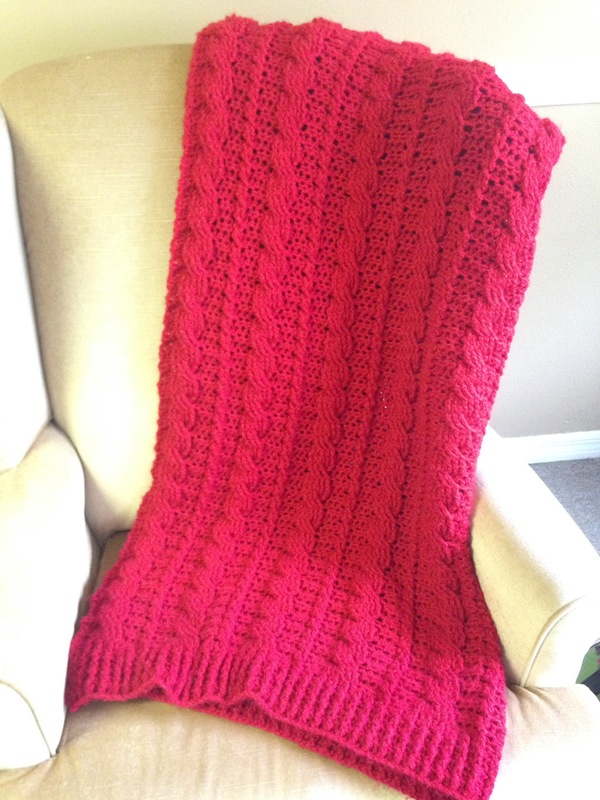 But I needed a bright red afghan for Nan, so I used about 6 skeins of Hobby Lobby’s I Love This Yarn in red. And because I needed it to be much wider (and because this yarn is considerably thinner than the Lion Brand Wool) I started with chain of 142 rather than the 72 indicated on the pattern. 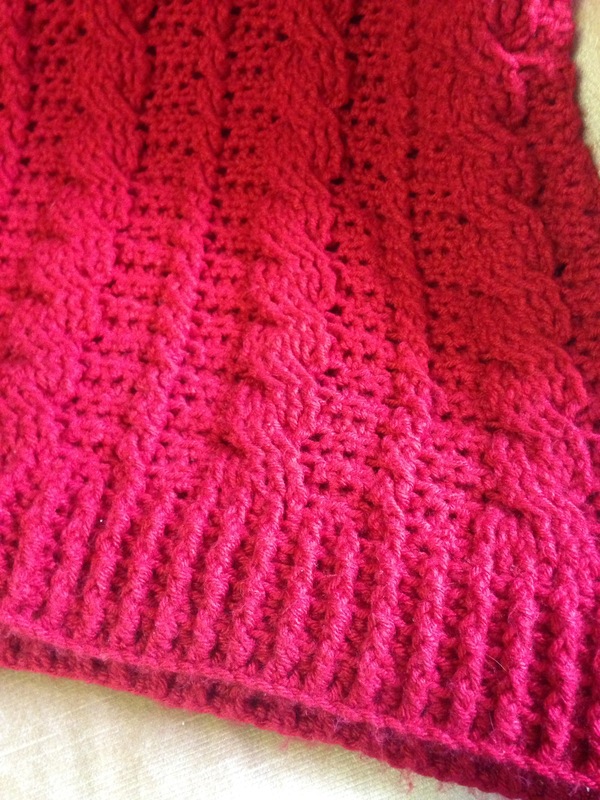 The length was likewise adjusted, and worked out to 141 rows, including the “sweatered” bottom and top rows. I am not accustomed to using such a large hook (it called for a size N), but I am very pleased with how plush and thick the finished project was. And, most importantly, I think Nan was pleased as well.